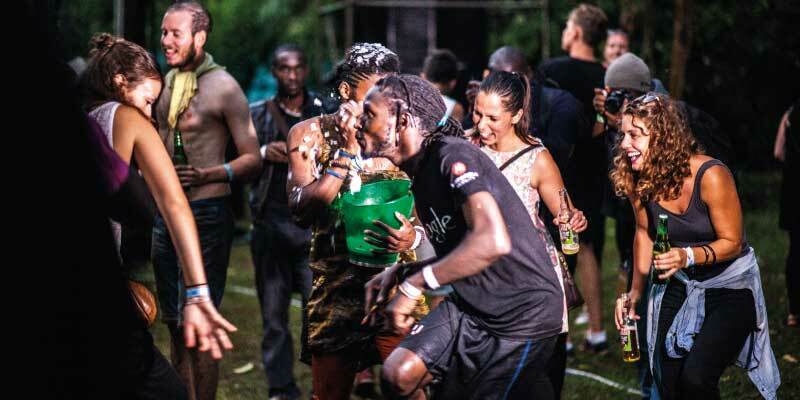 KAMPALA – As we wind up March, there is a lot of fun and activities that will steer you into the weekend. PML Daily has compiled a number of events that you should enjoy. 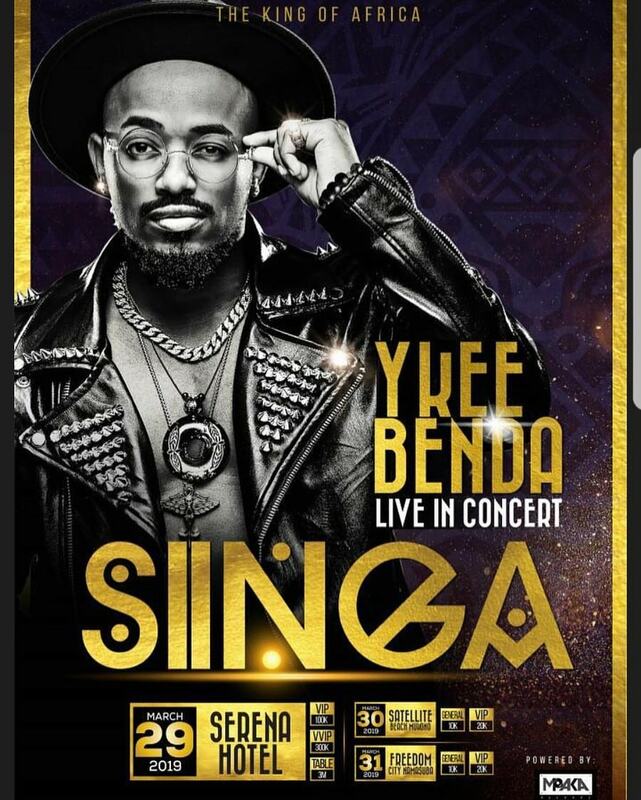 The much-anticipated show for the King of Africa Ykee Benda dubbed ‘Singa’” is on this Friday, March 29 at Kampala Serena Hotel. Entrance fee is only UGX100,000 – ordinary, UGX300,000 -VIP, and a table will go for only UGX3m. 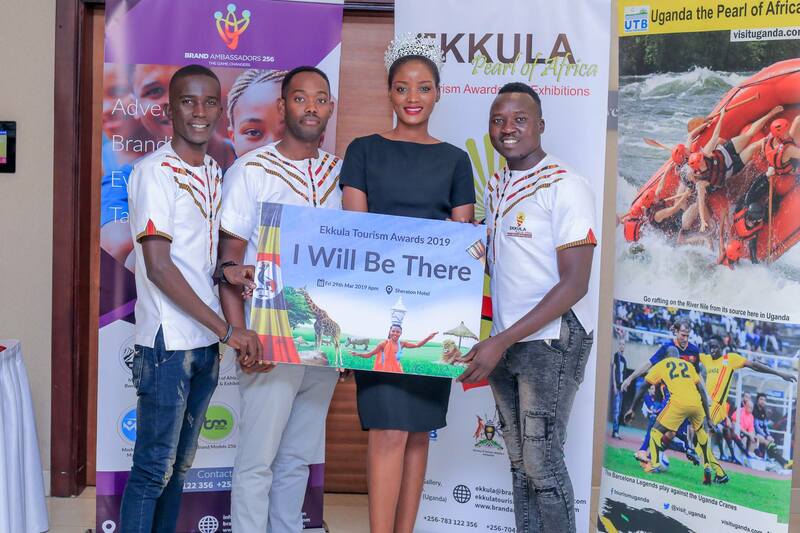 Uganda’s biggest tourism Awards are happening this Friday, March 29, at Sheraton Kampala Hotel. Go enjoy as the prominent players in the industry are recognised. The cover charge is only UGX50,000 ordinary, UGX200,000 -VIP, and a table for only UGX3m. Happening this Friday, March 29, is the source of art, drama and comedy a newspaper theatre dubbed ‘Endagamuntu’ at Goethe-Zentrum, Kampala. The cover charge is only UGX10,000 (adults) and UGX5,000 (children). It is back bigger and bolder this Saturday, March 30, at Quality Shopping Mall, Lubowa. Go shop African fabric and merchandise at affordable prices. Saturday, March 30, 2019 is the D-day for the annual Fashion Blow at YMCA in Wandegeya starting at 8:00 pm till late. Go show your swag and style with great music and dance. The cover charge is absolutely free. See you there! 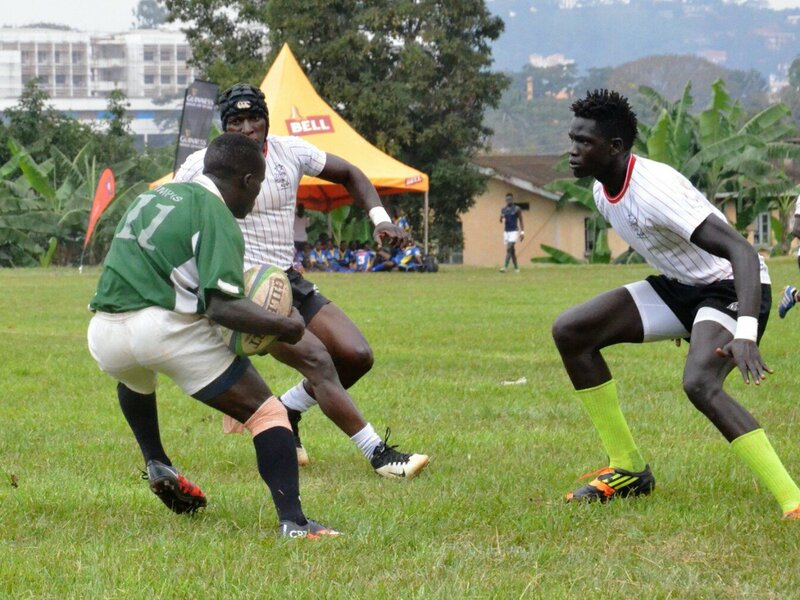 The arrogance is back this Saturday, March 30, as the Stallions lock horns with the Impis RFC at Kyadondo Rugby Grounds. The gates will be open at 12:00 pm. Let’s show support for our teams. ‘Tulumbe’. Kampala’s finest corporate tournament is on this Sunday, March 31, at the Kabira Country Club in Bukoto, Kampala. It will be a fun family day with lots of drinks, eats, barbeque to enjoy as your cheer your respective teams. Registration per team is only UGX 200,000. See you there! For those that want to keep physically fit and show cause. 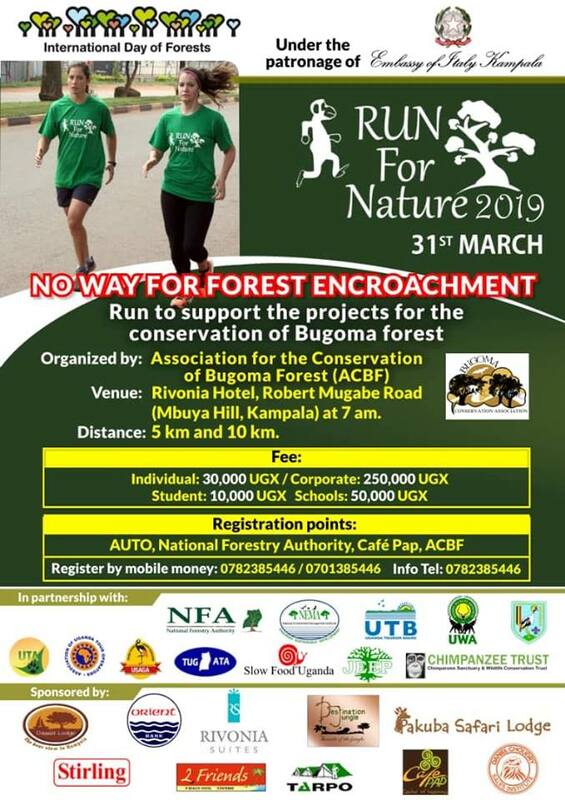 This Sunday, March 31, is the third Edition of Run for Nature with the theme ‘No Way Forest Encroachment’. The starting point is at Rivonia Hotel, Robert Mugabe Road, Mbuya. The lovers of band music here is a proggie for you at Wankulukuku Stadium in Tudde’ekka concert. It will feature artistes like Billy Kasoode, Dr. Tee, Betty Mpologoma, Evelyn Lagu, Gravity Omutujju, and Dr. Hilderman, among others. Tickets go for only UGX10,000. Happening this Sunday, March 31, is the Aga Khan Music Awards with various laureate performances. The guest of honour is Mr. Hazar Imam Mulwana who will grace the awarding ceremony.